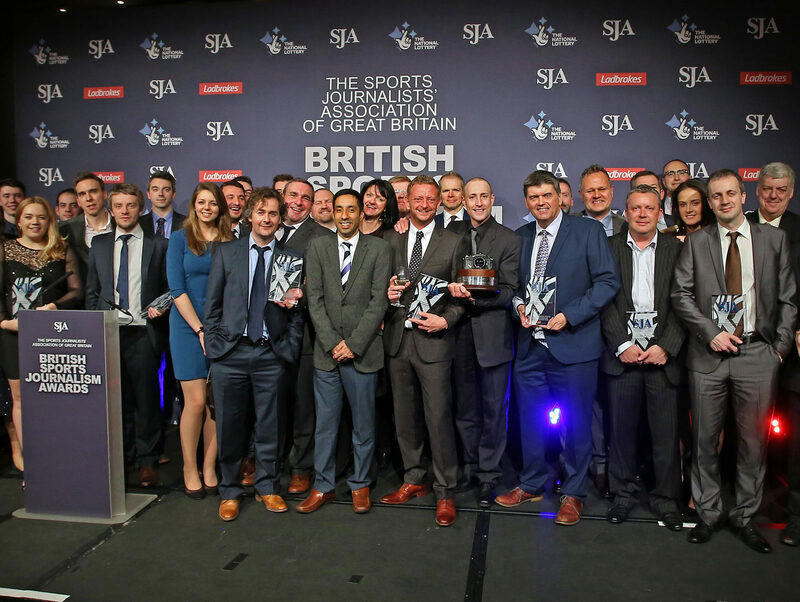 The Telegraph and Guardian newspapers dominated at the Sports Journalism Awards for writing last night as the Daily Mail was named Sports Newspaper of the Year. 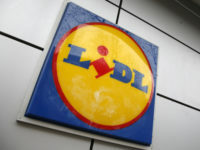 In the broadcasting category, the BBC claimed four out of the seven awards – including for their coverage of the Rio Olympics and the Broadcast Sports Presenter award for BBC Radio 5Live’s Eleanor Oldroyd. Sky News’ Paul Kelso was named Broadcast Journalist of the year. The Telegraph’s chief sports writer, Paul Hayward, took home the award for Sports Writer of the Year 2016, marking the fourth time he has received the trophy. The sports team at the Telegraph also won for Invesitgative Sports Reporter, awarded to the Telegraph Investigations Team, Sports Feature Writer, awarded to Oliver Brown, and Young Sports Writer, awarded to Sam Dean. The Telegraph’s investigation team were awarded the prize for their “Football For Sale” exclusive which forced Sam Allardyce to step down after one match as England manager. “Stories do not come much more startling than that,” said Peter Jackson, chairman of judges in the writing category. The Guardian was named Sports Website of the year, with Daniel Taylor taking the Sports Scoop prize for his interview with Andy Woodward in which the former professional footballer talked publicly for the first time about the sexual abuse he had experienced as a child. 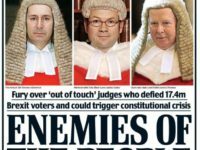 The story led to a national scandal being uncovered as more abuse victims came forward following the story’s publication. Police are now investigating. Taylor was also awarded the Ladbrokes Football Journalist prize while The Guardian’s Sean Ingle was given the prize for Specialist Correspondent. Times newspapers picked up three awards, including Sports Columnist for The Times’ Matt Dickinson. Jon Colman, of Cumbrian Newspapers, was awarded the Regional Journalist prize. In the photography category, Getty Images dominated with four wins, including for Alex Livesey, who was named Photographer of the Year. The awards were held at the Park Plaza Hotel, London. 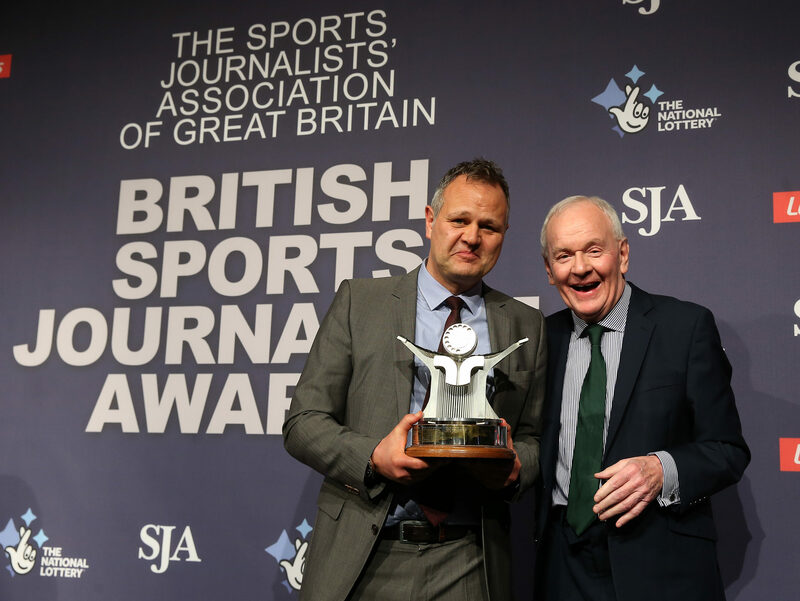 SJA President Patrick Collins said: “With his great gifts of insight and perception, Paul Hayward continues to set a soaring standard, and he fully deserves the highest honour in British sports journalism. “I’m also delighted that the broadcasting excellence of Eleanor Oldroyd is once again recognised by the SJA and the superb photographs of Alex Livesey earned him the coveted Ed Lacey Trophy. “Daniel Taylor has a well-merited double award through his stunning expose of abuse in football, along with his consistently brilliant coverage of the national game. “They are worthy winners in a vintage year of sports journalism”.